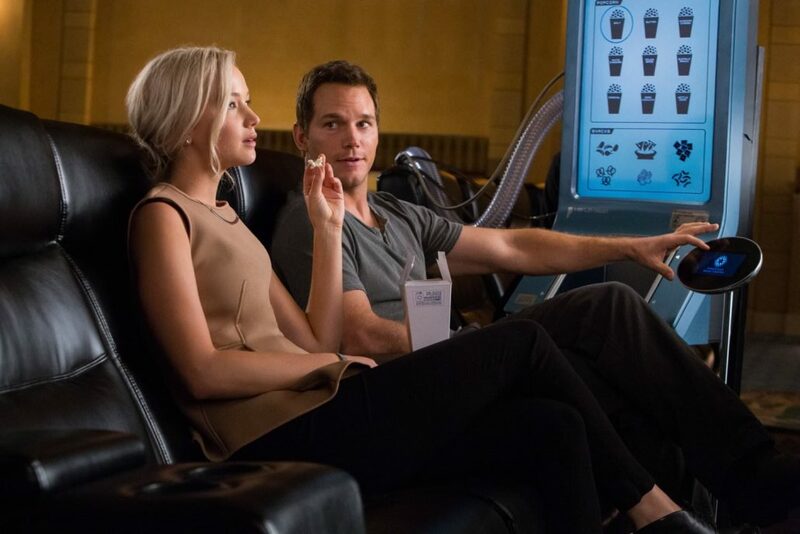 Passengers is an odd but interesting movie. We had strange, mixed feelings after watching. 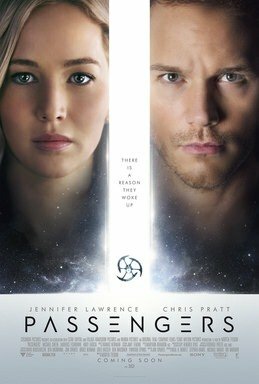 Taking some time to blog about Passengers because after the movie we started discussing the storyline, cast, scenes in the movie. And later on this movie got us thinking. 5,000 passengers and 259 crews were on a spacecraft travelling to a distance colony planet known as “Homestead Colony”, a journey that takes 120 years to begin a new life. Unfortunately, an incubation malfunction awakens Jim Preston (Chris Pratt), a mechanical engineer, 90 years early. While all passengers and crew are still in their hibernation pod, Jim was the only human awake in the starship. Waking up in the middle of space alone, with 90 years ahead before arriving to the planet Homestead II. Jim realises his life is screwed and is certain to be dead before arrival anyway. He explored every possible means to put himself back to sleep but to no avail. 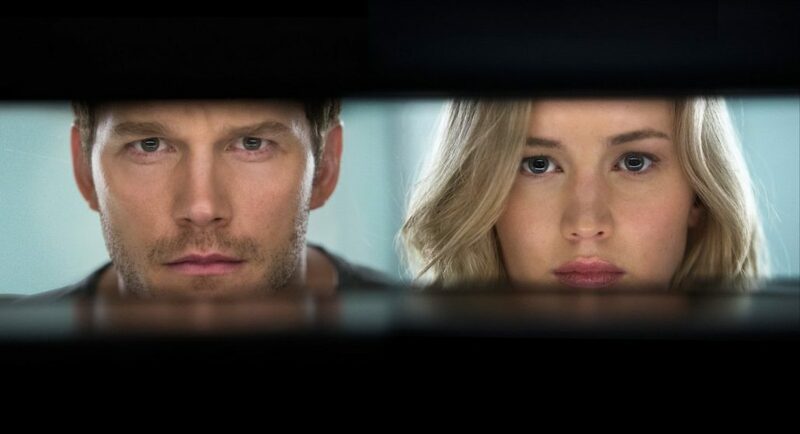 If it is possible to return back to hibernation, how will the movie continue? Jim tries to break into the crew cabin but he doesn’t have the right security clearance and all the crew are also in their hibernation pod. Jim attempted to send a help message back to Earth, he was told that the reply will take 55 years. Stranded on the spaceship, 90 years away from his destination. 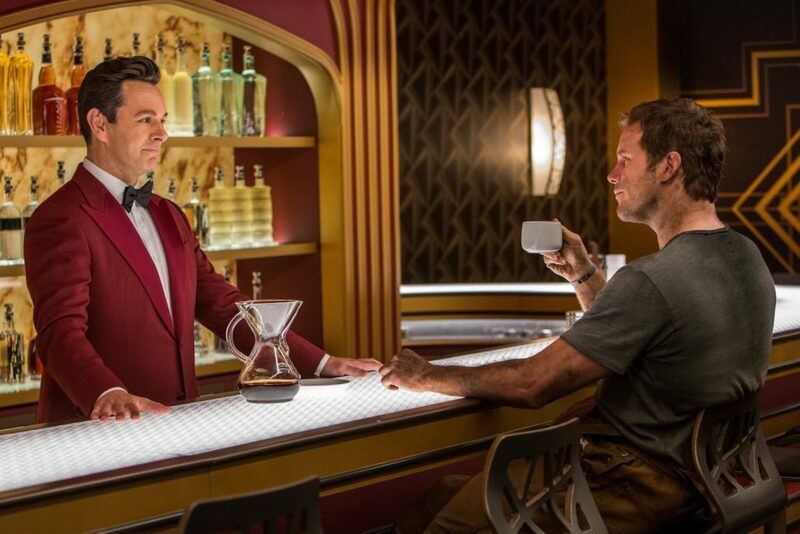 The loner in the movie, Jim then met Arthur (Michael Sheen), a bartender, in the spaceship. Just when he thought that he found a companion, someone in the same boat as him, he finds out Arthur was an android bartender 🤖 . But a really cool one! He speaks and act like a real human. Sounds ideal for a holiday right! But this couldn’t possibly last him for 90 years. Towkaynew: Walao, he very lonely sia! This is where Aurora Lane (Jennifer Lawrence) begun to appear. After a year living by himself, Jim realised that he could wake up someone else. He spotted Aurora, a journalist and was attracted to her. He began fantasizing over her. Jim desperately alone, makes a stupid decision. He wakes her up from the hibernation pod. This essentially means taking her life as they will only arrive the planet in 8o years = destined to die. And yet, Jim doesn’t tell her why she’s awake, making her believe that her pod malfunctioned too. Jim Preston: [solemnly] We Can’t! This kick starts the rest of the story! Will she know the truth? Ultimately, Aurora finds out the truth from Arthur the robot bartender and screams at him. Imagine the person next to you, your best friend, best partner betrayed your trust. How afraid you’d be of you. How lost you’d be of you. 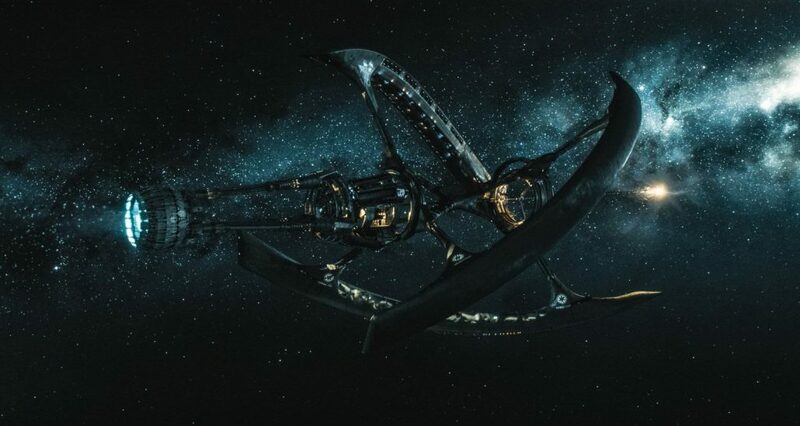 While all of this is going on, the story continues with the ship malfunctioning, having multiple problems in the ship’s system and experience severe failure each day. Alright! I shall stop here about the plot because if you want to know what happen, watch it yourself yeah! And if you have seen it, let us know how you find the movie! We also like the combination of both romance and action. 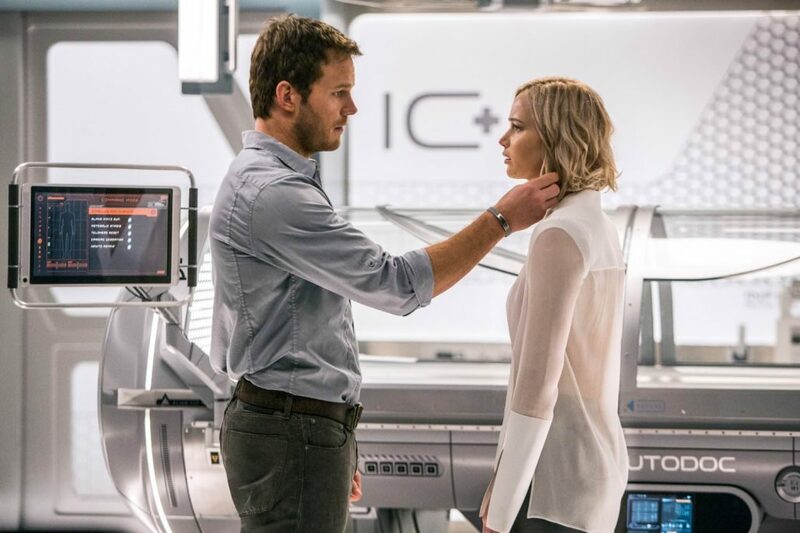 In the start, Passengers may be a romance (or nightmare for Aurora), but later on it is also a sci-fic film with plenty of awesome actions scenes. 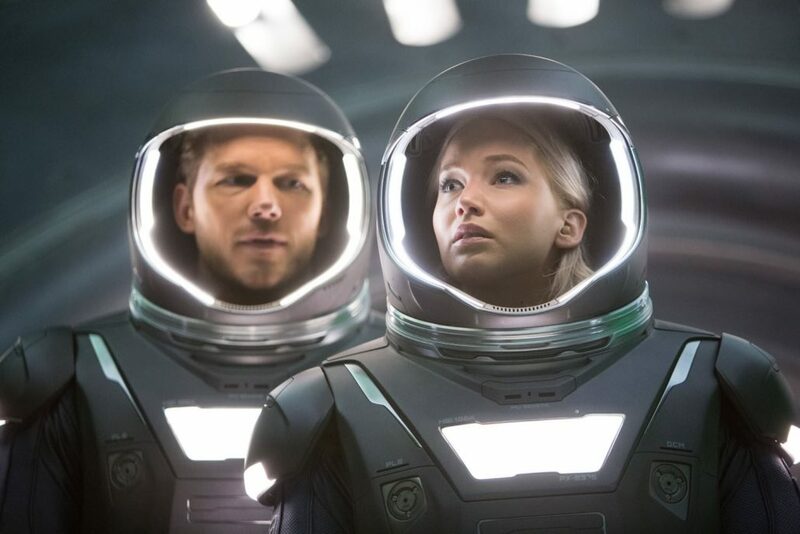 It’s surprising that the entire movie goes around 2 main cast: Jennifer Lawrence as Aurora Lane. Chris Pratt as Jim Preston. Yet, the movie was so engaging and exciting! We actually also gave the passenger an alternative ending which Candyce came out with! We thought that it would be interesting if Aurora and Jim had a baby and they could tell the world about their experience of travelling thousands of years to the colony. Or maybe, it was too unrealistic to give birth on the spaceship. So, this movie set us to thinking! Question is, if you woke up in space and knew you’d be alone for the rest of your life, what will you do? If you are Jim, what will you do? Will you accept your fate? Will you wake another person up to be your companion knowing that are you effectively condemning them to die with you?? I think I will have problem waking someone up! I think Towkaynew will keep blogging about his Iceland trip! He even dreamt about blogging in his sleep! I hope there is Viu premium there so that I can spend my whole life watching shows. Team Notchbad guessed that Nicholas Lim will wake a team of passengers up so that he can play soccer and basketball together! Will you wake someone up? If everyone on the spaceship is stranger, I won’t wake anyone. Because I know I can’t make life choices for them. So I won’t, but if is people I know, for example you, i will wake you up because i know u won’t want me to be lonely hehehe. It’s about human. It’s about life. It’s about humanity.